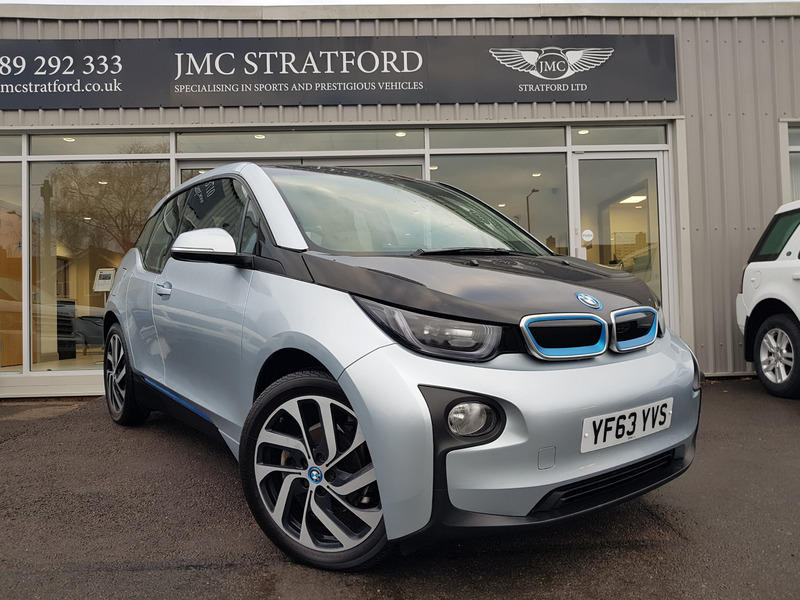 An Electrifying BMW i3 in Ionic Silver Metallic with Neutronic Grey Interior and full BMW history. It has a great specification including: Comfort Package, 19' Turbine Wheels style 428, LED Headlights, Heated Seats, Interior and Exterior Auto Dimming Mirrors, Professional Navigation, Remote Services, DAB Radio, BMW ConnectedDrive, Climate Control Air Conditioning, Rain Senor Wipers, Cruise Control, Multifunction Steering Wheel, Phone Bluetooth Connection, NO ROAD TAX. It has the 60ah battery which will give an official range of 81 miles of silent motoring!